Does it matter what type of product "activated" water is used in conjunction with? For example, does it matter if my cloth or mop is cotton or microfiber? Our product is compatible with cleaning tools, including cotton and microfiber. It does not damage the microfiber and is safe to use on hard and soft surfaces. Both the cleaner and disinfectant/sanitizer can be used with standard cleaning equipment, including cotton and microfiber mops and conventional cleaning cloths. However, microfiber is generally recommended. As with conventional cleaning chemicals, the solution’s efficacy will degrade more quickly if a soiled tool (like a soiled string mop or soiled hand cloth) is dipped and re-dipped into the solution. No, does not matter, we have clients using microfiber, old towels and even paper towels. Some microfiber does not like any chlorine. Most of the high quality products will work well with very little activated water. It's my understanding that urine doesn't smell until it hits water. So when cleaning urine, will activated water cause odors or combat them? Our product destroys urine and eliminates urine odor. 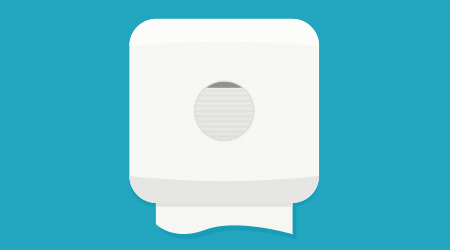 It eliminates the source of the residual odor, as well as in the air. It does not mask the odor. For pet urine, it not only removes the odor, but also stops the pet from revisiting the same spot. In independent lab testing, the disinfectant/sanitizer kills odor-causing bacteria. In real-world use, operators report a slight pool smell when using the disinfecting solution in restroom applications. We definitely eliminate the smell of urine. Urine is easily remediated with activated water: first with a general purpose cleaning solution, and then with our sanitizer/disinfecting solution. We can kill the bacteria that causes a urine odor.